Handcrafted on Prince Edward Island since 1981, these wind chimes have been designed for beauty of appearance and sound. Each has been tuned by ear using a silver flute and has a stained glass wind-catcher. Using high grade PEI lumber, braided high strength wire and rust resistant steel alloy pipes makes Island Winds chimes so durable we have a "Lifetime Plus One" guarantee. To place an order please contact us either by phone at 1-800-824-9463 or by email. Prices do not include %15 HST. We accept Visa, Mastercard, cash, cheque, and e-transfer. These chimes have tubular bells tuned harmonically in the Key of C. The bells are steel alloy tubing, one inch diameter from 11 inches to 21 inches in length and suspended from a 6" diameter wood disc. 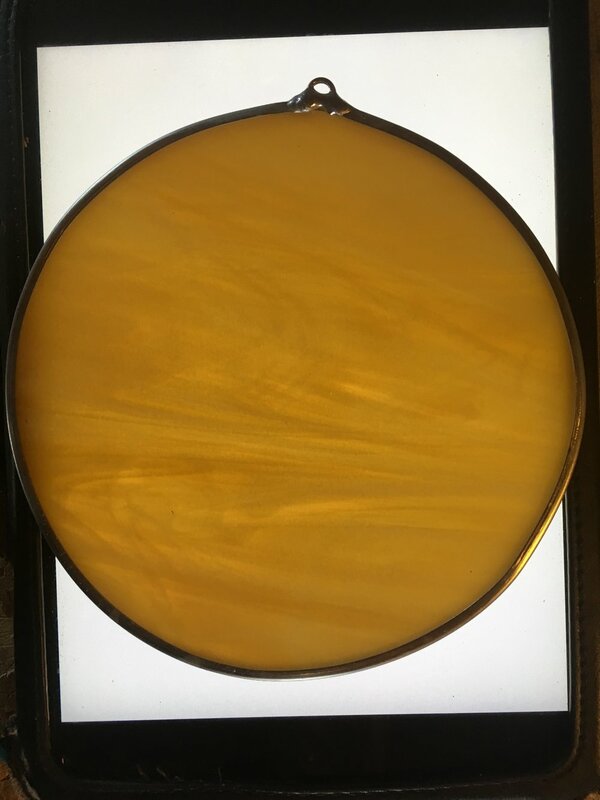 As with all our chimes, we offer a wood or stained glass disc in a variety of colors for the pendulum or windcatcher. The Key of C Chimes' harmonic tuning give a mellow sound and provide a meditative presence. We used 3/4" diameter tubing, 6 bells from 14 inches to 20 inches in length, suspended from a 5 inch diameter wood top in birch or maple. 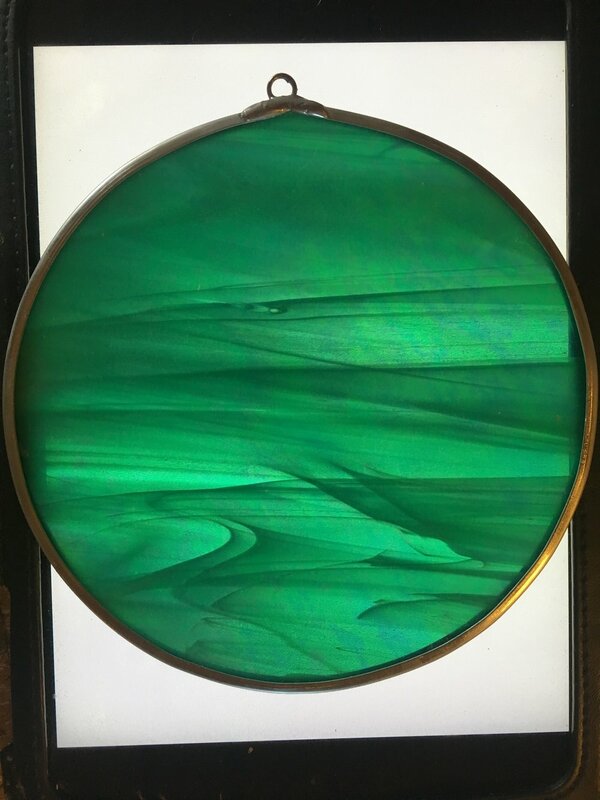 They come in your choice of wood or stained glass windcatcher in a variety of colors. Tuned to A Minor, these Island Winds chimes are somewhat less resonant than the "C" Chimes; the sound is quietly unobtrusive, yet reassuring. The sound is pleasingly intimate in a light or strong breeze. In 1986, we decided to experiment with an ancient Greek five note scale, called the pentatonic scale. This musical scale existed before the western diatonic scale evolved and has its roots in early history. We suspended the six tuned bells at each bell's nodal point which is a hole drilled at a point determined by the length of each note's sound wave, part way along the length of the tube. The tubing is one inch in diameter from 11 inches to 16 inches in length. This results in a very bright and clear note when each bell is struck. We've included the high "C" giving six clear, loud notes from this chime. One tuning that we added is in G Minor and is similar to the A Minor, but with longer tubes and therefore deeper resonance. With these windchimes we used 3/4 inch diameter tubing, from 16 inches to 25 inches in length suspended from a 5 1/4 inch disc in birch or maple. Using 1 1/2 inch diameter tubing in lengths from 21 inches to 31 inches, the bells are large enough to really resonate with the lightest tap. In an ordinary breeze, you'll be surprised at the sound volume of these chimes. The 1 1/2 inch x 8 inch diameter wood disk from which the bells are suspended is of maple or birch, and together with the bell clanger, puts the weight at slightly over 15 pounds for this set of Windchimes. 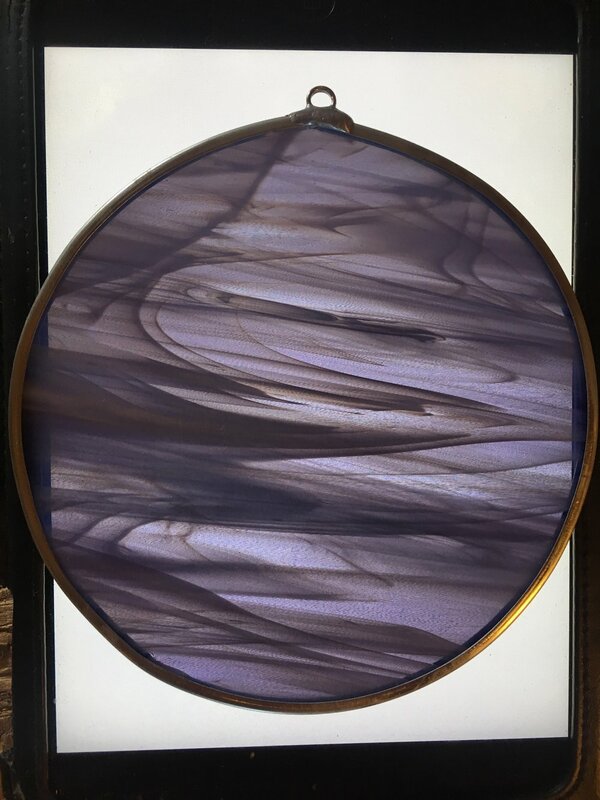 Available with wood (shown) or stained glass disc for the windcatcher. Island Winds suggests putting these chimes at a short distance from the home, maybe among some trees. In this location, it will sound like distant church bells. We hung them on our porch at home, and found them to be quite powerful. In 2009 we added the "Anne" Chime to our collection of tuned windchimes. 2009 was the 100th anniversary of the publishing of Anne of Green Gables and we decided to add to the "Anne" excitement. This is our most recent addition at Island Winds, The "Anne" Chime has been tuned by professional musician Doug Millington who performed in the Anne of Green Gables musical. The Anne Chime harmony is based on that musical production. This chime is the first to have two different sized bells which gives the chime a beautiful melody. The Anne chime is now the 7th chime in our line of musically tuned wind chimes. Using a 1/2 inch diameter solid aluminum bar from 4 inches to 5 inches in length, we found good resonance using four bells; the notes produced are quite high. Generally, we've found steel alloy tubing to have better resonance, that is, longer duration of sound vibration, than aluminum tubing. In the case of this particular alloy bar, we were surprised at the resonance quality. It is a pretty chime with a 4 inch diameter wood top, ball clanger and 3 inch wood windcatcher. Overall length: 10 inches. Our wood wind-catchers are crafted from maple lumber and soaked in exterior finish to ensure durability in all weather conditions. The purchase of a windchime includes your choice of a wooden or stained glass windcatcher. To place an order please contact us either by phone at 1-800-824-9463 or by email. For wholesale inquiries please contact us by email.